FW7700N Series wrapping Hail, rice cake, milk powder | 5_productsindex.html_Sheet1.csv | FUJI MACHINERY CO.,LTD. The latest vertical pillow packaging machine from FUJI. 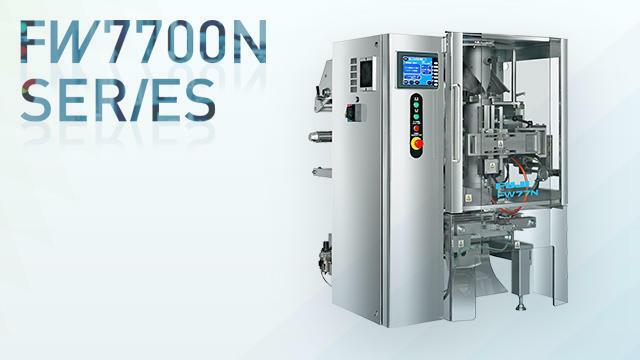 Capacity and sealing performance increased with a number of new systems. Lineup includes a variety of models, such as FW7700N/S which is optimal for products that may break easily from short distance drops, FW7700N/U which is optimal for wet products that use stainless steel and light alloys in their main parts, wide specification FW7700N/W, and 3-way sealing specification FW7700N/F.